THANK YOU TO ALL WHO DONATED TO OUR 2018-19 PLEDGE-A-THON! ​YOUR DONATIONS HELPED US REACH A TOTAL OF $14,850! Thank you to all who helped us reach $14,850 in pledges during our 2018-19 Pledge-A-Thon, over half of our goal of $25,000! 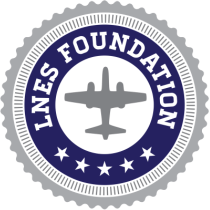 Your donations are tax-deductible, and LNES receives 100% of the benefit. We encourage everyone to participate at whatever level is possible. If we all give, your child and every child will benefit. their employees’ charitable contributions. Some companies provide the guidelines and forms to fill out online, or you can check with your Human Resources office. Some companies match the contributions of retirees and employees’ spouses as well. It’s worth checking out! It's not too late to double your 2018-19 contribution! Mail your cash or check donation to LNES Foundation, 27922 Niguel Heights Blvd, Laguna Niguel, CA 92677. Drop off at the school front office. For more information, please email lnesfoundation@gmail.com. Remember that every gift counts and all monetary donations are 100% tax deductible. Let’s work together to help our students “Soar Higher” at LNES!